The 2018 Asian Games, also known as Jakarta Palembang 2018 is scheduled to begin from 18 August to 2 September 2018 in Indonesia's Jakarta and Palembang. India is scheduled to complete at the 2018 Asian Games and it will be India's 18th appearance at the Asian Games. And also, this is the 1st time that the Asian Games are being co-hosted in 2 cities: Jakarta and Palembang. As the countdown for the Asian Games 2018 has begun, which is scheduled to be held in from 18 August to 2 September 2018 in Indonesia’s Jakarta and Palembang, innumerable sportsman are gearing up for their new battles at the ground. And also, this is the 1st time that the Asian Games are being co-hosted in 2 cities: Jakarta and Palembang. 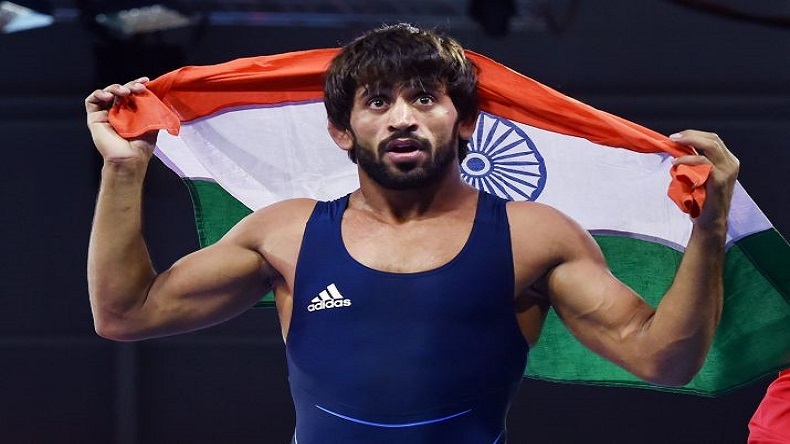 Among them is Bajrang Punia 24, known as a freestyle wrestler who hails from Haryana’s Jhajjar district, Punia started wrestling at the early age of 7 and was encouraged to choose sports as his profession by his father. Coached by Vinod Kumar, Punia won the silver medal in the 2014 Asian Games in Incheon, South Korea, won the silver medal in the men’s freestyle category after he lost by 1-3 to Iran’s Masoud Esmaeilpoorjouybari. In the same year, he won another silver medal in men’s freestyle 0-4 to Masoud Esmaeilpoorjouybari of Iran. In the Asian Wrestling Championship 2017 which was held in Delhi, Punia gave a gold medal to the country, and in 2013 World Wrestling Championships Punia won the bronze medal in the men’s freestyle in Hungary’s Budapest. In 2018 Commonwealth Ganes, Australia, he won the gold medal in the men’s freestyle 65 kg category. Punia defeated Kane Charig of Wales by Technical Superiority to grab the gold medal.